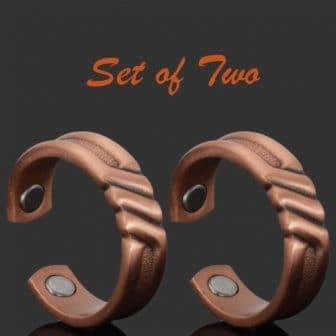 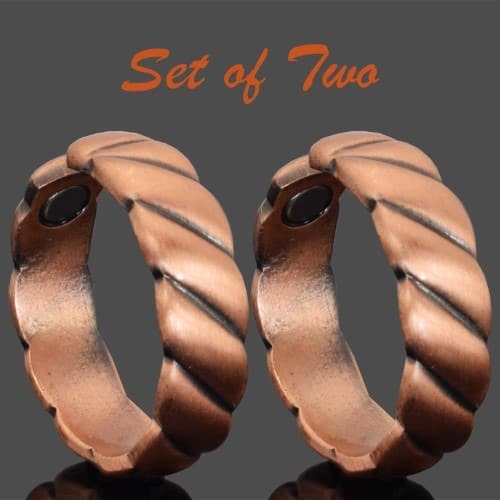 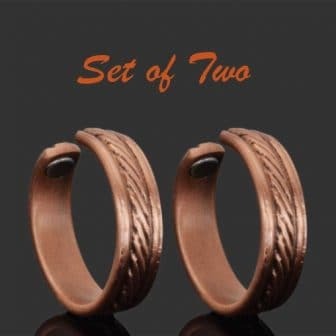 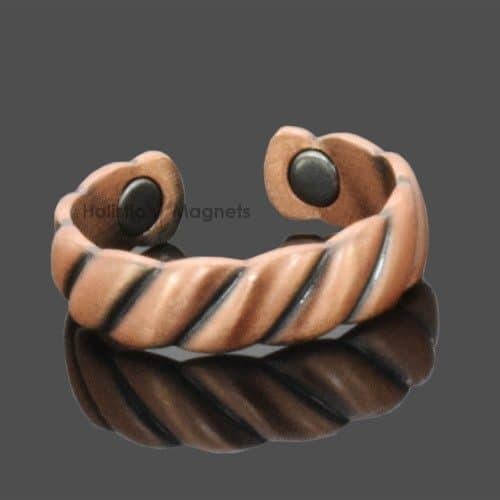 Pure copper magnetic rings are designed to provide you with a natural and powerful pain relief for arthritic fingers, swollen or painful finger joints, fracture sites, carpal tunnel syndrome and repetitive strain injuries. 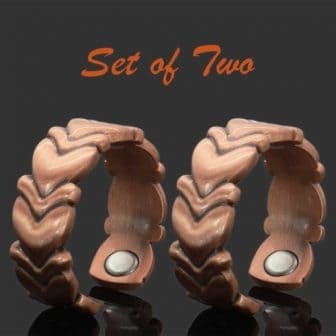 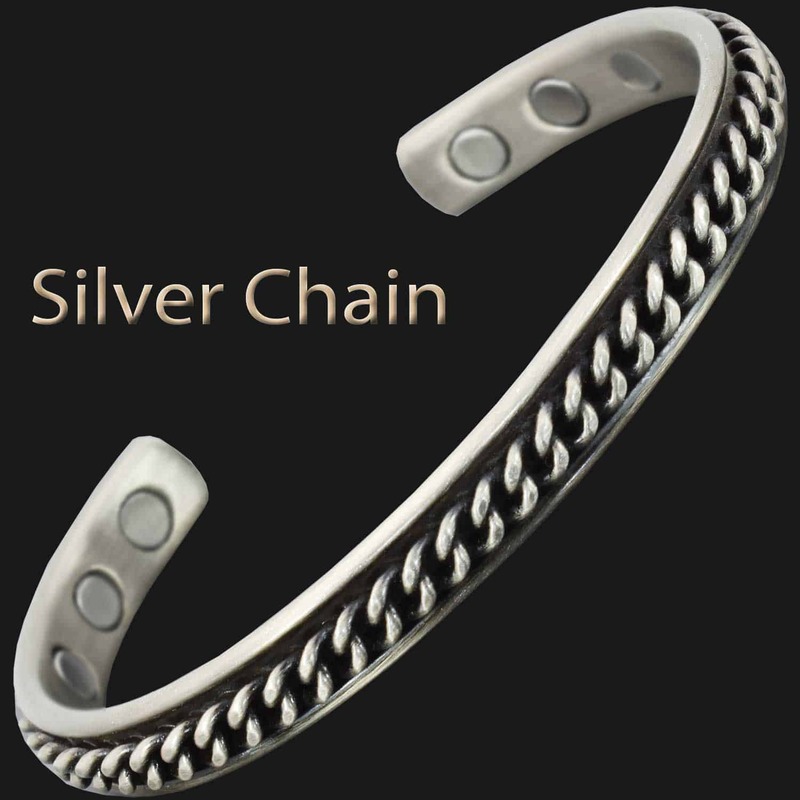 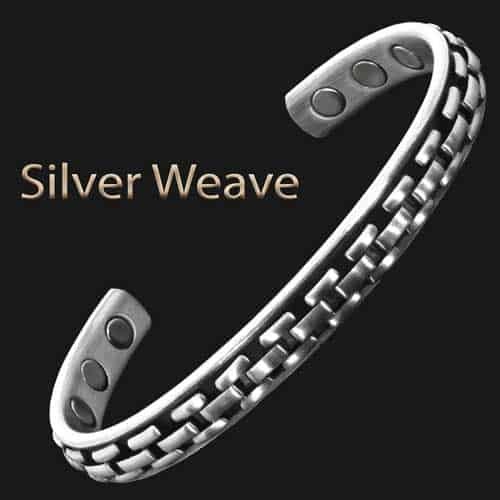 If you have just one finger that is painful, perhaps due to a fracture or previous injury then you may not want to use a bracelet to treat just one finger. 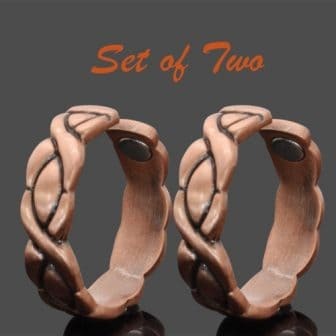 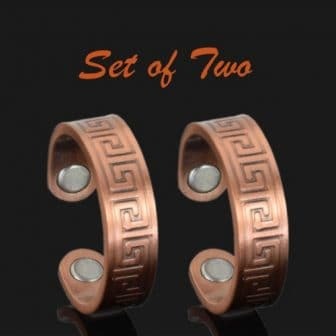 Copper magnetic rings are extremely effective magnetic treatment for single finger pain. 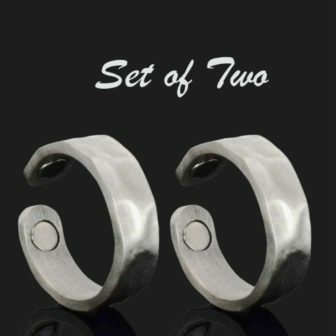 Magnetic rings look just like ordinary rings, but they have 2 x 1700 Gauss magnets placed on the inside of the ring. 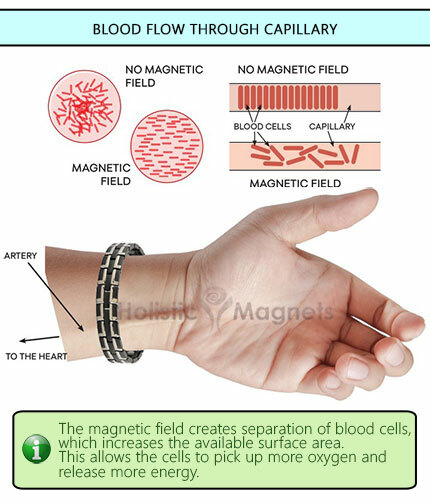 When you wear the ring, the magnetic field will treat the whole of the finger on which it is placed. 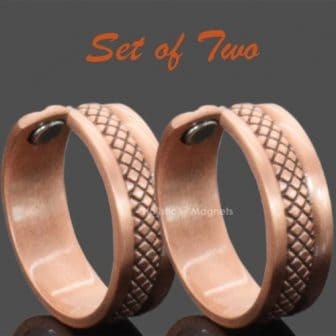 Copper is a very pliable metal that allows you to adjust your ring according to your size. 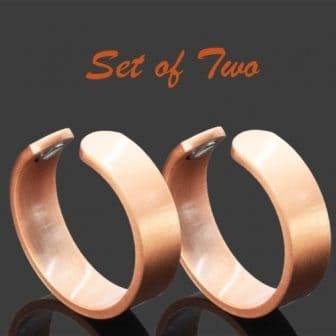 The gap between the ends can add up to 1.5 cm to the actual ring size. 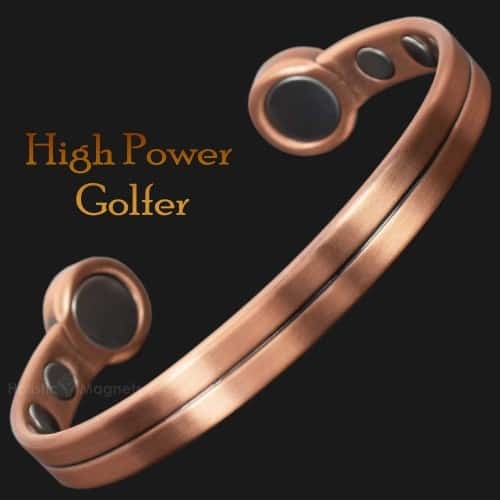 Keep away from small children! 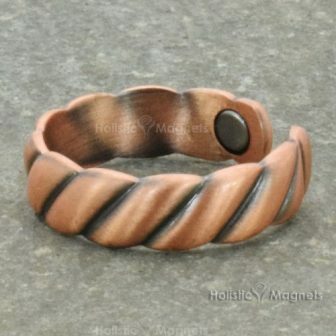 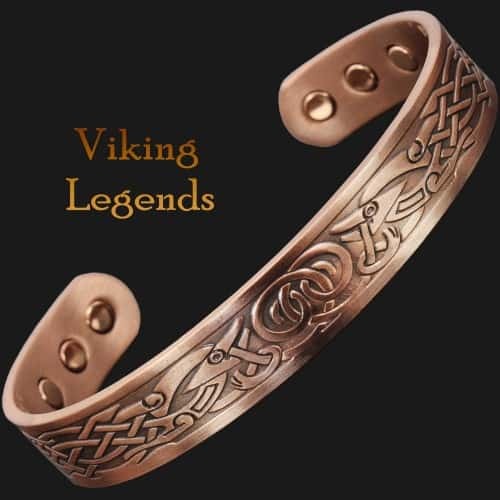 Copper may produce patina, which can be easily removed by washing. 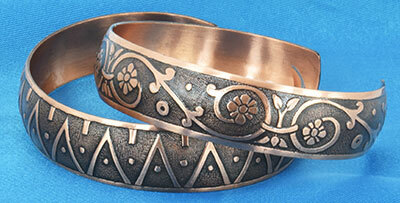 For cosmetic reasons we suggest removing copper jewellery before bathing or swimming. 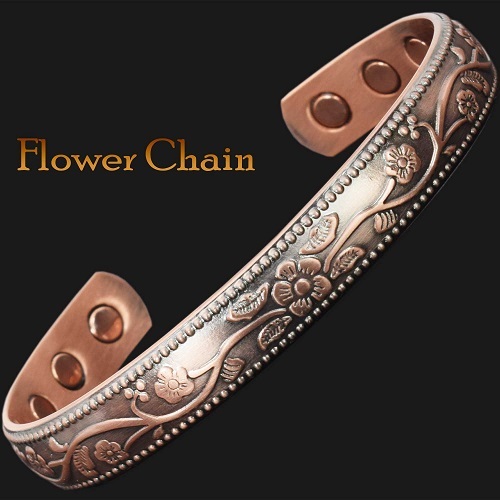 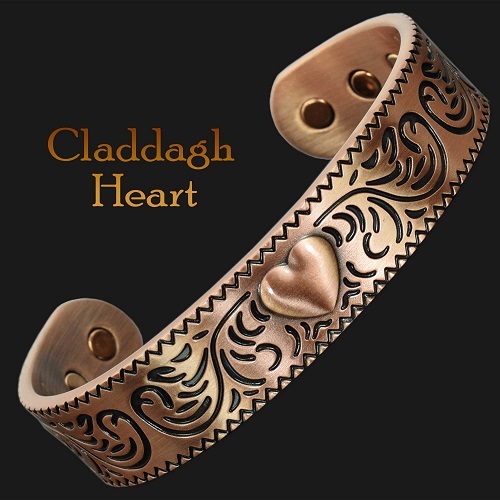 From ancient times copper has been recognized and valued for its amazing healing benefits. 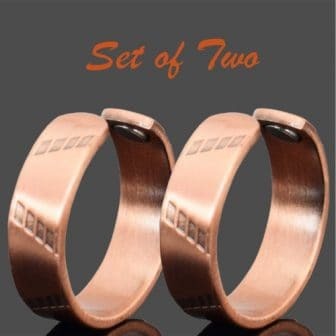 Copper is an essential element in our body. 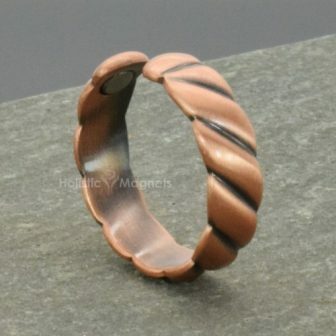 Deficiency in copper can lead to a number of health issues including inflammatory diseases such as rheumatoid arthritis. 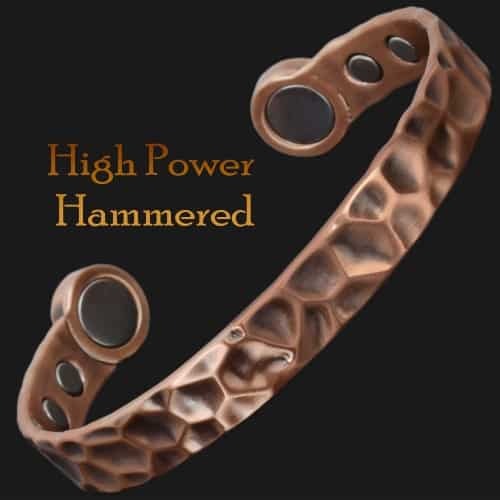 When copper comes in contact with the skin and can be absorbed into the bloodstream in small and safe amounts and therefore compensate for any copper deficiency.